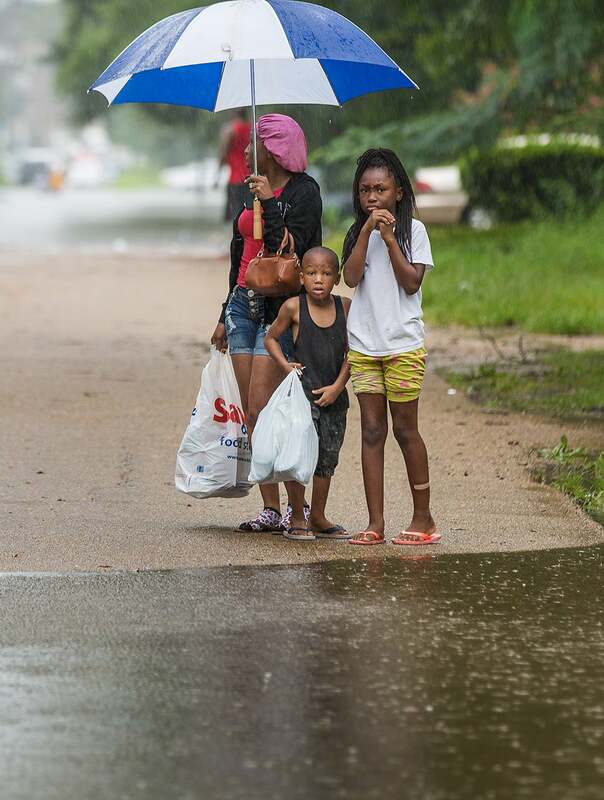 Louisiana-based photographer Don Green gives Essence an exclusive look at the destructive floods in Baton Rouge, which have displaced thousands and destroyed homes and businesses. 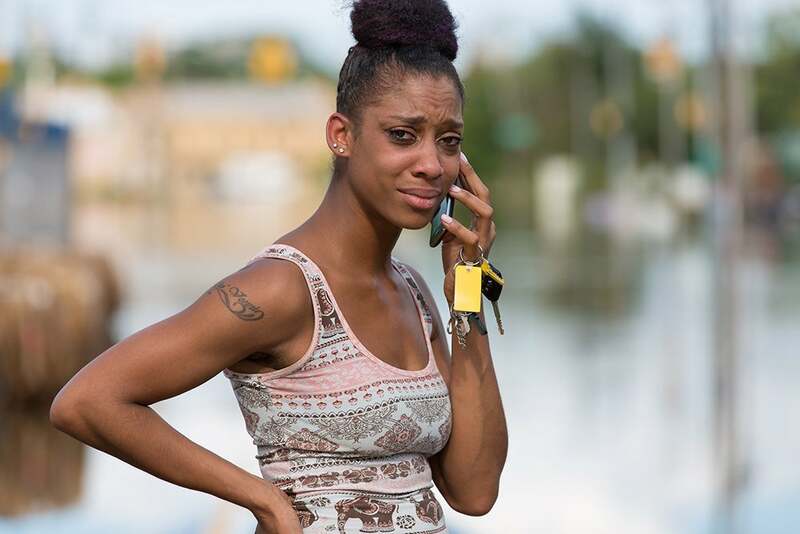 A Baton Rouge resident, beside herself with grief caused by the devastating flood waters that have destroyed many lives. 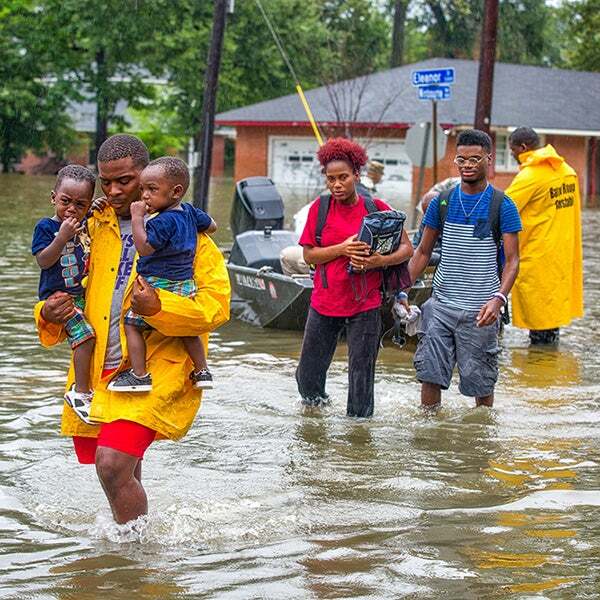 Community members stepping in to help families out of dangerous flood waters. 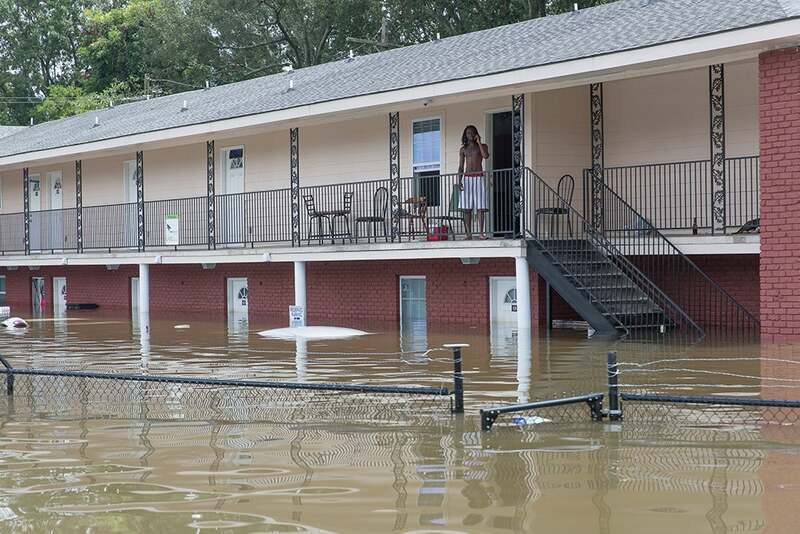 Unprecedented flooding has left people stranded in their homes. 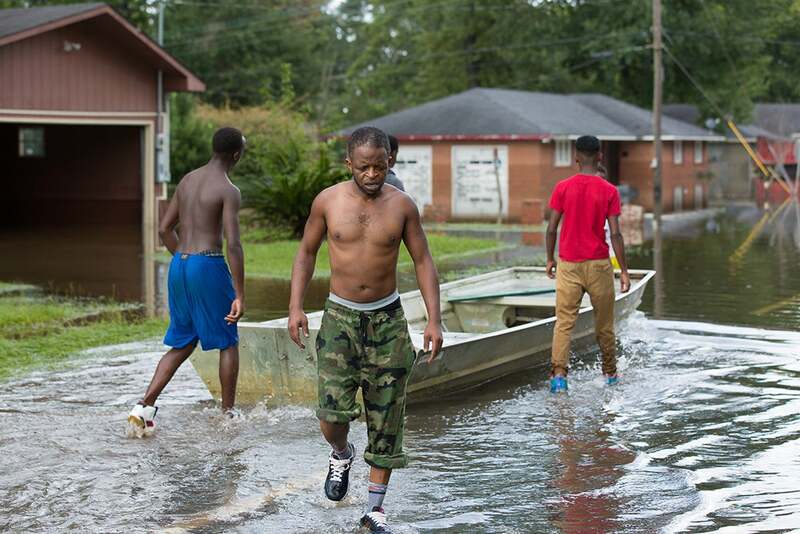 A group of three men using a river boat to provide transport service out of flood waters for local residents. 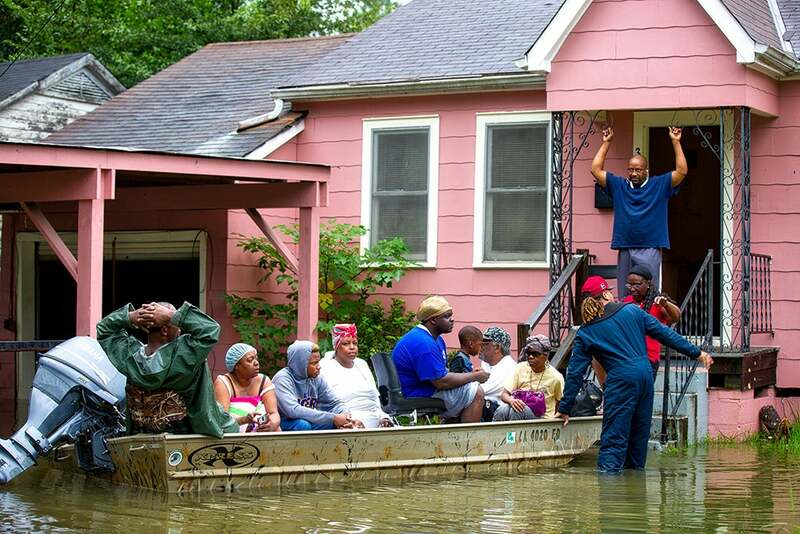 Community members using a river boat to transport residents from their flooded homes to dry land. 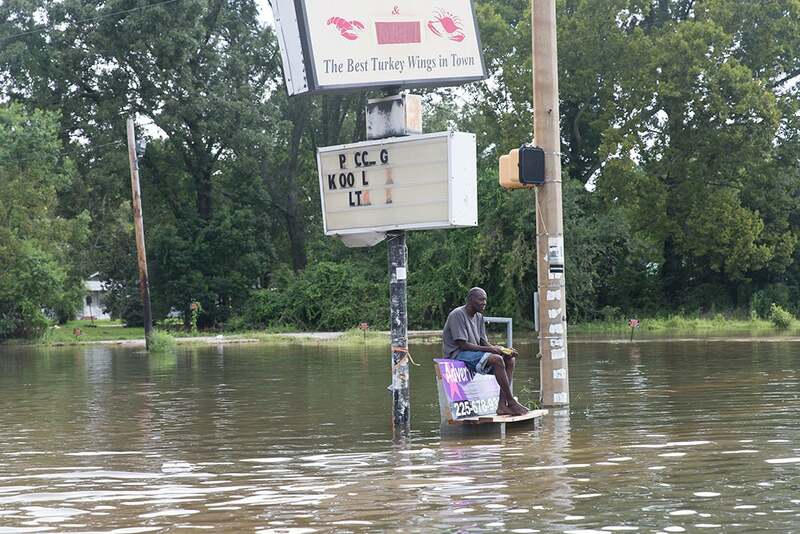 A man stranded on a sidewalk bench, trying to keep out of dangerous flood water. 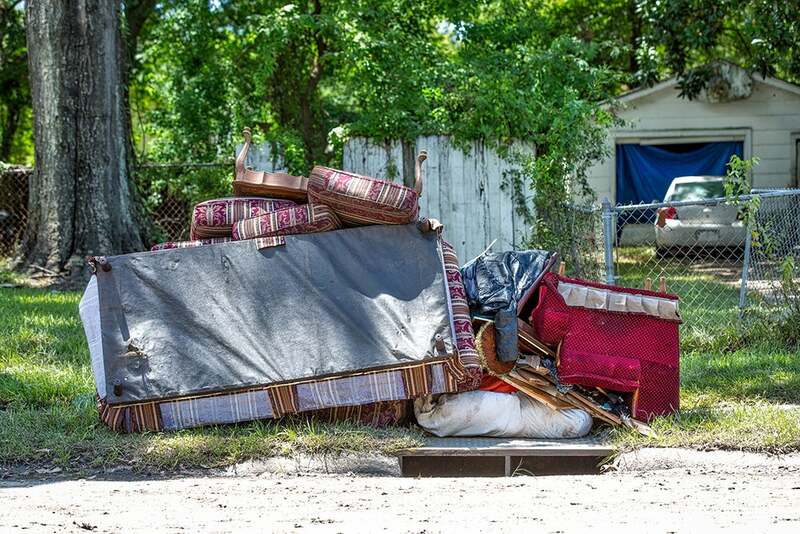 Furniture that has been swept up by the flood waters which have destroyed hundreds of homes. 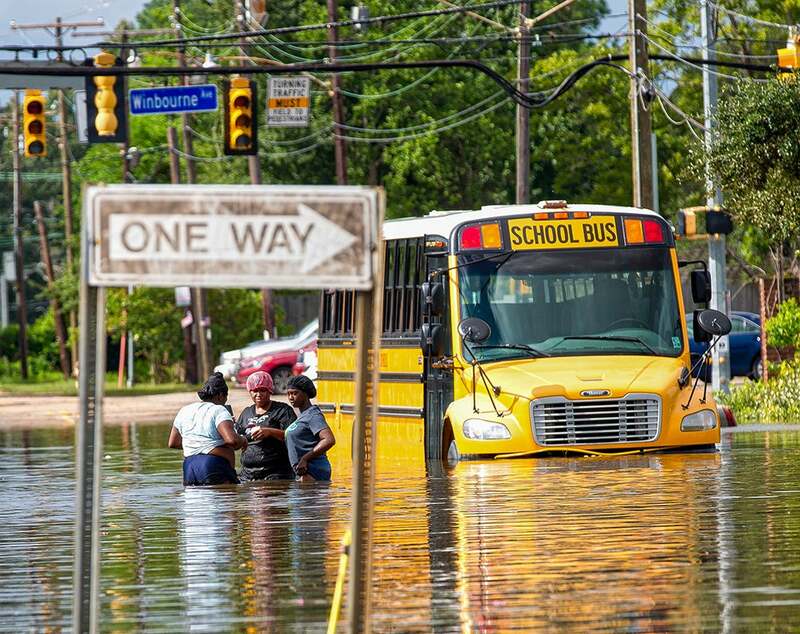 Three women helping each other find their way to safety. 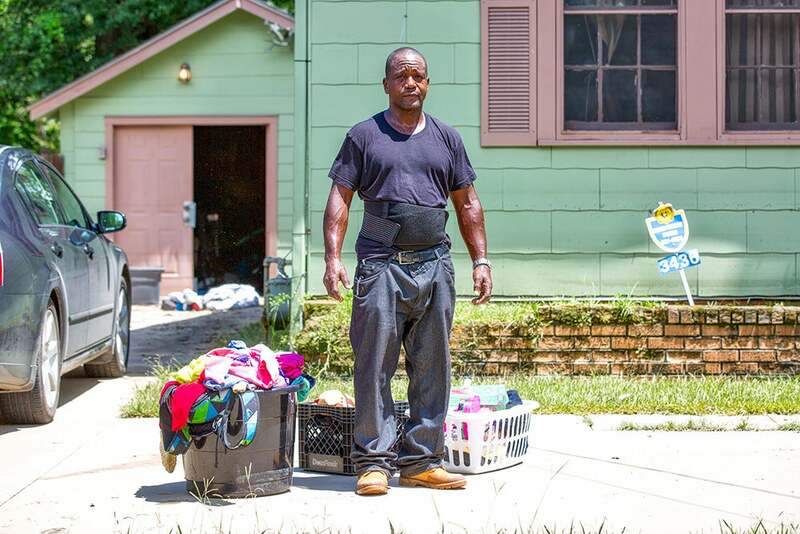 A man standing outside his home, with a few personal belongings he was able to save from the flood.